Although part of the United Kingdom, Scotland is a separate jurisdiction that has its own legal system independent of the legal systems of England and Wales and of Northern Ireland. There has been one reported case based on breach of article 101 of the Treaty on the Functioning of the European Union (TFEU). In Calor Gas Ltd v Express Fuels (Scotland) Ltd and Anor  CSOH 13, the pursuer (Scots law term for claimant) sued the defender (Scots law term for defendant) for breach of a post-termination restriction in a distribution agreement for cylinders of liquid petroleum gas. The court refused to enforce the agreement on the basis that it restricted competition. There have been a number of private actions involving alleged abuse of dominance. Pursuers in such actions generally seek the remedies of interdict (Scottish law term for injunction) or performance, as an alternative or in addition to damages. No damages have yet been awarded in a Scottish case. To date, remedies have been awarded in two cases. In Millar & Bryce Ltd v Keeper of the Registers of Scotland  SLT 1000, an interim order requiring continuing performance was granted, requiring the defender to continue its existing supply arrangements with the pursuer. In Lothian Buses Ltd v Edinburgh Airport Ltd, The Scotsman, 5 May 2011, an interim interdict was granted to prevent Edinburgh Airport Limited from tendering an exclusive right of access to bus stands at the airport. A number of other cases alleging abuse of dominance have not succeeded. The Competition Appeal Tribunal (CAT) fast-track procedure has proved popular in England and Wales. The fast track is available for Scottish cases but is likely to be less attractive because the CAT does not have the power to grant an interdict in Scottish cases. No follow-on cartel damages actions have yet been brought in the Scottish courts, although parties domiciled in Scotland have sued (and have been sued) in England and Wales. Directive 2014/104/EU on the rules governing actions under national law for infringements of the competition law provisions of the member states and the EU (Damages Directive) was implemented by the Claims in respect of Loss or Damage arising from Competition Infringements (Competition Act 1998 and Other Enactments (Amendment)) Regulations 2017) with effect from 9 March 2017. On 23 June 2016, the United Kingdom voted in a national referendum to exit from the European Union. At the time of writing, the European Union (Withdrawal) Bill, which is currently passing through the UK parliamentary process, extinguishes the right to ‘Francovich’ damages for breach of EU law. This may have significant consequences for the right to bring actions for damages for breach of competition law. Since 2003, monetary claims before the CAT for infringement of competition law have been expressly provided for by statute (section 47A of the Competition Act 1998 (CA 1998), inserted by the Enterprise Act 2002 (EA 2002)). The CAT is a specialist competition law tribunal which has jurisdiction over both Scottish and English matters. In addition to the competition rules in the TFEU, CA 1998 and EA 2002 are the principal pieces of legislation that govern competition law in Scotland. The Consumer Rights Act 2015 (CRA 2015), which came into force on 1 October 2015, amended CA 1998 and has implemented sweeping reforms of the private antitrust litigation regime in the United Kingdom. EA 2002 provided for the establishment of the specialist CAT, which has both English and Scottish jurisdiction and introduced sections 47A and 47B of CA 1998, which apply to private antitrust actions. These sections have now been amended by CRA 2015 and by the Claims in respect of Loss or Damage arising from Competition Infringements (Competition Act 1998 and Other Enactments (Amendment)) Regulations 2017. The CAT has, since 1 October 2015, had jurisdiction to hear both follow-on and stand-alone damages claims. Collective actions may also be brought before the CAT (see questions 19 to 26). Procedure in the CAT is governed by the CAT Rules 2015. In Scotland, the Court of Session and the Sheriff Courts have overlapping jurisdiction in civil actions, including competition law matters. The Court of Session has jurisdiction over civil matters throughout the whole territory of Scotland, whereas each Sheriff Court exercises jurisdiction over its sheriffdom. The Sheriff Court is inferior to the Court of Session. The Courts Reform (Scotland) Act 2014 (CR(S)A 2014) created a Sheriff Appeal Court, which hears appeals from the Sheriff Courts. Civil claims for less than £100,000 cannot be raised in the Court of Session and the Sheriff Court deals with all actions below that amount. The final court of appeal in all UK civil cases is the Supreme Court (successor to the House of Lords). Although competition law statutes apply across the United Kingdom, the Scottish courts are not directly bound by a decision of the Supreme Court in an English case. Nevertheless, such decisions are likely to be highly persuasive. Private actions are available in respect of breaches of both UK (Chapters I and II of CA 1998) and EU competition law (articles 101 and 102 of the TFEU), in other words, in respect of both cartels and abuse of dominance cases. In the case of actions based on EU competition law, there must be an effect on trade between EU member states for the article 101 and 102 prohibitions to apply. A finding of infringement by a competition authority is not required in order to initiate a private antitrust action in either the CAT or the ordinary courts. Therefore, both follow-on and stand-alone actions may be brought in both venues. However, the jurisdiction of the CAT was extended to cover stand-alone actions only from 1 October 2015. Transitional provisions mean that only actions where the claim ‘arises’ after 1 October 2015 can be brought in the CAT on a stand-alone basis (CAT Rule 119). a decision of the European Commission that the prohibition in articles 101 or 102 of the TFEU has been infringed. Where such a finding is relied on, only the quantum of damages will need to be proved. Decisions of EU national competition authorities, other than the CMA, are prima facie evidence that an infringement has occurred. Jurisdictional issues within the European Union are currently governed by Regulation (EU) No. 1215/2012 on jurisdiction and the recognition and enforcement of judgments in civil and commercial matters (recast) (Recast Brussels Regulation), which came into force on 10 January 2015 and has direct effect within the United Kingdom. The general rule under the Recast Brussels Regulation is that a defender domiciled in a EU member state should be sued in the jurisdiction where it is domiciled. Where an action is brought on the basis of the domicile of one defender, the pursuer may sue others in the same court provided that the claims are closely connected. Alternatively, the pursuer may raise the action in the member state ‘where the harmful event occurred’. This can be either where the infringement occurred or where the loss was suffered. In Case C-352/13 Cartel Damage Claims Hydrogen Peroxide v Akzo Nobel NV, the CJEU found that the place where the harmful event occurred was the place where the victim had its registered office. As regards third-party proceedings, a pursuer may bring proceedings in the court seized of the original proceedings. Article 25 of the Recast Brussels Regulation also gives effect to exclusive jurisdiction clauses, regardless of where the parties are domiciled. where the conduct to which the proceedings relate took place. To determine whether collective proceedings or collective settlements should be treated as English or Scottish, the CAT will consider the place where the class representative or settlement representative is habitually resident or has its head office or principal place of business. The CAT may also have regard to the law applicable to the claim. If the proceedings are treated as Scottish proceedings, it is expected (although this has not been tested in the context of damages actions) that this would result in Scottish procedural rules on matters not specifically covered by the CAT rules being applied, for example, in relation to privilege (known as ‘confidentiality’ in Scotland), disclosure or the approach to quantification of damages. In Iiyama v Samsung, Philips & LG  EWCA Civ 220, the English Court of Appeal held that the court may have jurisdiction on cartels that solely occur outside of Europe (in this case Asia), where the EU internal market has been affected. Private actions can be brought against legal entities (such as corporations or partnerships) and against individuals, including those from other jurisdictions (based on the application of the Recast Brussels Regulation), if they constitute an ‘undertaking’ as defined by the case law relating to the prohibitions set out in articles 101 and 102 of the TFEU and Chapter I and II of CA 1998. Entities engaged in economic activity, which can include individuals, are regarded as undertakings for the purposes of competition law. It is possible that individuals convicted of the ‘cartel offence’ (section 188 of EA 2002) or who have failed to discharge their duties as directors of a company could be liable to third parties who have suffered loss. Infringing companies cannot recover contribution or indemnity in respect of a fine for breach of competition law from their employees (see the English Court of Appeal judgment in Safeway Stores Ltd & Ors v Twigger & Ors  EWCA Civ 1472, which has persuasive authority in a Scottish court). Third-party funding of litigation is permitted in Scotland. In Scotland, speculative, but not contingency, fee agreements are permitted. A speculative fee agreement is one whereby the client and his or her lawyer agree that the lawyer will only receive a fee (or part of a fee) if the client’s case is successful. The lawyer’s ‘winning premium’ must not exceed 100 per cent of the solicitor’s fees, which must be based on the work done. In contrast to contingency fees, the premium is therefore unrelated to the amount of damages awarded. The Civil Litigation (Expenses and Group Proceedings) (Scotland) Act 2018, which will come into force in phases starting 5 June 2018, includes speculative fee agreements, damages-based agreements and qualified one-way costs shifting, so more types of funding will be available in Scotland in the near future. In the context of litigation before the CAT, the (English) Civil Procedure Rules on funding arrangements apply to proceedings, regardless of jurisdiction (Rule 65 of the CAT Rules 2015). In April 2013, damages-based agreements (contingency fees) were introduced in England and Wales. It is therefore possible that damages-based agreements may be competent in Scottish proceedings before the CAT. The Scottish courts have powers to allow one party to recover documents from another party that are relevant to a case that has been, or is likely to be, raised, unless there is a special reason why the application should not be granted. It is possible to seek to recover documents from a third party. Disclosure will be granted only in respect of identified documents and ‘fishing’ is not allowed. There is a general trend towards disclosure of information in litigation in Scotland, but full disclosure is not a fundamental right. Currently, the CAT may give directions for the disclosure between, or the production by, the parties of documents or classes of documents. The CAT has broad discretion on the issue, subject to the rules of privilege (see question 12), once an action is lodged, but it has no power to order pre-action disclosure. CAT Rules 2015 allow parties to make an application to the CAT for pretrial disclosure, which will need to be supported by evidence before proceedings have started, provided that disclosure is necessary in order to dispose fairly of the claim or save costs (CAT Rule 62). In Scottish proceedings, Scottish rules of confidentiality (privilege) are likely to be applicable (see question 13, regarding disclosure of corporate leniency statements). Before the civil courts, the admissibility of evidence is governed by the Civil Evidence (Scotland) Act 1998. Evidence must be relevant to be admissible. Evidence need not be corroborated to be admissible and hearsay is not automatically inadmissible. control the nature of evidence required and the manner in which evidence is to be placed before the CAT. Currently, the CAT has a very broad discretion over whether to admit or exclude new evidence. The CAT is guided by overall considerations of fairness, rather than technical rules of evidence (see Argos Limited v OFT  CAT 16, Claymore Dairies Limited v OFT  CAT 19 and Aberdeen Journals Limited v Director General of Fair Trade  CAT 11). litigation privilege, which attaches not only to communications between lawyer and client but also to communications with third parties once litigation is in prospect. The principles on privilege in Scots law are less developed than in English law but are likely to be similar for the purposes of UK competition law. In cases where the CAT is sitting as a Scottish court, it is thought that Scottish, rather than English, rules on privilege will apply. Privilege was considered in a competition context by the Court of Session in BSA International SA v McClelland Irvine & Anor  CSOH 77, in which the defenders’ application for disclosure of privileged documents relating to a cartel investigation was largely rejected. The case related to the interpretation of a competition warranty clause in the share purchase agreement for a company that was a subject of the Office of Fair Trading’s Dairy Cartel decision (CA98/03/2011). In 2016, the ruling of the English High Court in Re RBS Rights Issue Litigation  EWHC 3161 (Ch), held that legal advice privilege extends only to communications between lawyers and those employees of a firm who are authorised to seek and receive legal advice. In Serious Fraud Office (SFO) v Eurasian Natural Resources Corporation Ltd  EWHC 107 (QB), the High Court of England and Wales held that various documents that were produced by lawyers and forensic accountants during an internal investigation into bribery and corruption were not privileged. This judgment was clarified by the High Court in Bilta (UK) Limited (In Liquidation) & Ors v The Royal Bank of Scotland plc & Anor  EWHC 3535 (Ch). Privilege was held to extend to notes and transcripts of interviews with employees as part of an internal investigation into tax fraud following allegations made by HMRC. The High Court considered that where litigation is in reasonable prospect and documents are brought into being with the dominant purpose of the envisaged litigation, those documents would be covered by privilege, and that the investigation occurred in a regulatory context was not an insurmountable bar to privilege attaching. These cases are likely to be considered persuasive authority by the Scottish courts. Yes. However, a court’s finding that an individual has committed the cartel offence is not a decision that can be used as the foundation of a follow-on action against that individual’s employer or company. The UK cartel offence may be committed by individuals only. Private actions for damages based on breach of Chapters I or II of CA 1998 or articles 101 or 102 of the TFEU will generally be brought against undertakings. Pursuers should typically have no access to evidence that has been collected by authorities under their criminal investigation powers in relation to the cartel offence, other than evidence given in open court. The EU cases of Pfleiderer (Case C-360/09) and Donau Chemie (Case C-536/11) held that it is for the national courts of member states to weigh the interests of individuals seeking damages and the protection of the leniency programme in ordering disclosure. However, this does not apply in the context of evidence in criminal proceedings owing to the privilege against self-incrimination. The fact that an individual has been convicted of an offence is admissible as evidence in civil proceedings for the purposes of proving that an infringement has been committed by the company that employs the individual or of which the individual is a director. Leniency applicants are not protected from follow-on litigation. However, following the implementation of the Claims in respect of Loss or Damage arising from Competition Infringements (Competition Act 1998 and Other Enactments (Amendment)) Regulations 2017) they now receive limited protection from the effects of joint and several liability (see question 33). Corporate statements made by leniency applicants during an investigation are likely to be accorded a high degree of protection from disclosure by Scottish courts. They may be expected to follow the approach to the Pfleiderer balancing test of the English High Court in cases such as National Grid Electricity Transmission v ABB Ltd and others  EWHC 1717 (Ch). The CAT and the English courts have granted access to other documents from authorities’ files on a number of occasions, and Scottish courts are likely to take a similar approach. In Emerald Supplies Ltd v British Airways plc  EWCA Civ 1024, the Court of Appeal confirmed that the presumption of innocence provides protection for findings of infringement that are not subject to challenge (for example, findings about the conduct of third parties, or which were not contained in the operative part of the decision). Such statements must be redacted. The Claims in respect of Loss or Damage arising from Competition Infringements (Competition Act 1998 and Other Enactments (Amendment)) Regulations 2017 prohibit disclosure in damages actions of corporate leniency statements and settlement submissions. Any information prepared specifically for a competition authority’s enforcement proceedings, or information sent to the parties in the course of the proceedings, is granted protection from disclosure until the enforcement proceedings are finished. However, the regulations do not prevent the disclosure of information that exists independently of the competition authority proceedings (ie, pre-existing information). Rule 42A of the Rules of the Court of Session performs a similar function to Practice Direction 31A in England and Wales, although there is not, in Scotland, any corresponding obligation to ensure ‘proportionality’ in disclosure proceedings. In follow-on actions, the CAT may give directions for the disclosure of the confidential version of the regulator’s decision. In the case of Deutsche Bahn AG and Others v Morgan Crucible Company plc and Others  CAT 15 (Case 1173/5/7/10, order of 27 January 2014), the CAT ordered that the defendants should disclose an index of the European Commission’s file and prepare a single English language version of the Commission’s decision with only ‘leniency information’ redacted. the CAT rules contain a restriction on the subsequent use of documents that have been provided in proceedings (CAT Rule 102). The restriction means that the documents are allowed to be used only for the purpose of those proceedings unless they have been read to or read by the CAT, or referred to, at a public hearing. The rule will also apply to pleadings or documents annexed to the pleadings. In Sainsbury’s Supermarkets Ltd v MasterCard Incorporated and others  CAT 6, the CAT ruled that the principle of open justice required disclosure of non-confidential versions of documents referred to or quoted in open court to third parties. The third parties concerned were claimants in cases which involved similar allegations. related proceedings ongoing in another jurisdiction. An application for a stay was refused in Cooper Tire and Rubber Co Europe Ltd v Shell Chemicals (UK) Ltd  EWCA Civ 864. The standard of proof in civil proceedings is the balance of probabilities and the burden rests on the pursuer to prove infringement, causation and loss. In cases where the CMA, the CAT, or the European Commission has already established a competition law infringement (ie, follow-on actions), the pursuer need prove only causation and loss. Additionally, under the Claims in respect of Loss or Damage arising from Competition Infringements (Competition Act 1998 and Other Enactments (Amendment)) Regulations 2017, an infringement of competition law established by the enforcement authority of another member state is considered to be prima facie evidence of an infringement for the purposes of damages actions. Even more significantly, there is now a rebuttable presumption that cartels cause harm, and so the defender would need to rebut that presumption. Where the defender is arguing a passing-on defence, the applicable standard remains the balance of probabilities and the burden rests on the defender to prove that the pursuer passed on its loss. The time taken to reach judgment in a civil claim in the Scottish courts varies depending on the complexity of the case. There is currently no provision for collective proceedings in Scotland, unless proceedings are issued in the CAT (see questions 19 to 26). CRA 2015 enabled the CAT to create a fast-track procedure for follow-on damages claims. Rule 58 of the CAT Rules 2015 states that parties in the proceedings will be able to apply to request their case to be fast-tracked or that the CAT can itself decide whether the case would be suited to the accelerated procedure. The CAT will consider a number of factors which are set out in Rule 58(3) including the size of the parties, the time estimate for the final hearing, whether disclosure is required, and the complexity and the novelty of the issues involved. In Breasley Pillows Limited and others v Vita Cellular Foams (UK) Limited and Vita Industrial (UK) Ltd  CAT 8, the CAT found that follow-on damages claims for a cartel of several years’ duration were unlikely to come within the criteria for the fast-track procedure. The CAT reached its first judgment under the fast-track regime on 26 May 2017, just short of 14 months after the case was registered (Socrates Training Limited v The Law Society of England and Wales  CAT 10). The CAT Rules also state that fast-track proceedings should be commenced within six months of a fast-track order by the CAT, and any recovery of costs will be capped. Although not a form of accelerated procedure, it is possible to ask for interim remedies in private antitrust litigation in Scotland (see question 28). In the civil courts, the obligation to pay damages for breach of competition law will prescribe five years after the date when the loss, injury or damage occurred. Where damage occurs before the cessation of a continuing act, as is likely with a claim for cartel damages, the date when the damage occurred will be deemed to be the date when the act ceased. If the pursuer could not with reasonable diligence have been aware that loss, injury or damage occurred, time does not start to run until he or she first became, or could with reasonable diligence have become, aware of it. As to the meaning of ‘reasonable diligence’, the English High Court case of Arcadia Group Brands Ltd and others v Visa Inc  EWHC 3561 (Comm) suggests that a pursuer could, with reasonable diligence, have become aware of an infringement from the time of publication of a competition authority’s press release regarding an investigation, but each case will turn on its own facts. Under changes brought about by the Claims in respect of Loss or Damage arising from Competition Infringements (Competition Act 1998 and Other Enactments (Amendment) Regulations 2017 (Damages Regulations)), before time starts to run the pursuer must have been aware not only of the behaviour, but also that it constituted an infringement and that it caused the pursuer loss. Any period during which the pursuer was induced to refrain from claiming by fraud or error of the defender is not counted towards the five-year period, nor is any period during which a competition authority is undertaking an investigation (or within a year of such an investigation concluding), or during which proceedings are underway in relation to an infringement that is the subject of the damages action. The prescriptive period is also suspended where the parties enter into a consensual dispute resolution process (see question 37). However, the substantive provisions of the Damages Regulations (including this provision on limitation) only apply to infringements, which started on or after 9 March 2017.
the date on which the cause of action accrued. From 1 October 2015, the limitation period in the CAT has been the same as that applicable in the ordinary courts. However, the transitional provisions in CAT Rule 119 provide that claims that ‘arose’ before 1 October 2015 will continue to be governed by the previous the CAT Rules 2003 (ie, the two-year limitation period outlined above). This means that very few stand-alone claims are likely to be brought in the CAT for a number of years to come. As regards claims arising before 1 October 2015, issues regarding when time begins to run for bringing an action before the CAT have arisen in a number of cases (eg, Emerson Electric v Morgan Crucible  CAT 28 (Emerson I), Emerson Electric Co v Morgan Crucible Co plc  CAT 30 (Emerson II), BCL Old Co v BASF  CAT 24, BCL Old Co v BASF  EWCA Civ 434). CAT limitation issues reached the UK Supreme Court in the case of Deutsche Bahn v Morgan Crucible Co  UKSC 24, in which the Supreme Court ruled that if an addressee of an infringement decision does not appeal that decision, the limitation period will start from the date of expiry of that party’s right to appeal the decision, even if other parties have brought appeals. This overturns a previous ruling that the start of the limitation period would be postponed for all parties as soon as one addressee appeals the decision. The Supreme Court held that even if one addressee of an infringement decision successfully appeals that decision, this has no effect on the liability for infringement of addressees who did not appeal. Therefore, even if a superior court determines that there was no cartel, the decision will still apply to addressees of the decision who did not bring or succeed in an appeal. In theory, this means an undertaking that does not appeal could find itself jointly and severally liable for all the harm caused by a cartel. This ruling is particularly important for whistleblowers who, because they have received immunity, often do not appeal against the decision. In Deutsche Bahn (Deutsche Bahn AG v MasterCard Incorporated & Ors  EWCA Civ 272) and Pilkington (Peugeot Citroen Automobiles UK Ltd & Ors v Pilkington Group Limited & Ors  CAT 14), the CAT held that the governing laws of the claim, rather than CA 1998 would determine the limitation period. Additionally, in regards to collective proceedings, the CAT may take some time before it decides to make a collective proceedings order to commence the action, so section 47E of CA 1998 provides for the suspension of the limitation or prescription period in respect of claims made under a collective proceedings action. In the Scottish civil courts, once a final decision has been issued by the lower court, appeals to a higher court are available, generally without leave of the lower court (until the case reaches the Inner House of the Court of Session). If a party wishes to appeal a point before a final decision has been made by the lower court (ie, interlocutory matters), it must generally seek leave to appeal from that lower court. There is no statutory test setting out the conditions to be satisfied for leave (and little case law on the point), but where leave to appeal is required in Scottish courts, applicants must generally demonstrate at least a prospect of success in relation to a genuine point of law which is of some practical consequence. By contrast, the English test (which requires that the appeal would have a real prospect of success, or that there is some other compelling reason why the appeal should be heard) is more restrictive. The Court of Session, Scotland’s highest civil court, is made up of the Outer House, the first-instance court, and the Inner House, the appeal court. A final decision of the Outer House of the Court of Session can be appealed to the Inner House, on the facts or on a point of law. From the Inner House, further appeals in Scottish civil cases lie to the Supreme Court. Appeals to the Supreme Court from decisions of the Inner House require the leave of the Inner House or, if refused, the Supreme Court. Under CA 1998, a CAT decision in relation to a Scottish case can be appealed to the Inner House of the Court of Session on a point of law, with the consent of the CAT. Where the CAT refuses consent to appeal, an application for leave to appeal can be made directly to the Inner House of the Court of Session. As with other Inner House appeals, a further appeal lies to the Supreme Court, but leave is required. There is no specific collective action procedure in the normal civil courts in Scotland. However, an action may be brought on behalf of multiple pursuers, and pursuers may be added during the course of the action. The Court of Session may make directions for multiple actions in respect of the same or similar matters, to be managed together (Court of Session Rule 2.2). The revised section 47B of CA 1998 provides for collective proceedings in respect of antitrust claims. It allows a representative to be certified where it is ‘just and reasonable’ for the person bringing the claim to act as the class representative. Such claims must raise the same, similar or related issues of fact or law and suitable to be brought in collective proceedings and brought on behalf of two or more consumers (on an opt-out or opt-in basis). Two collective claims have been brought in the CAT to date, concerning mobility scooters (Dorothy Gibson v Pride Mobility Products Limited  CAT 9, withdrawn in May 2017) and cross-border interchange fees (Walter Hugh Merricks CBE v MasterCard Incorporated and Others,  CAT 16). In Dorothy Gibson v Pride Mobility Products Limited, Ms Gibson had sought a Collective Proceedings Order (CPO) on behalf of purchasers of certain mobility scooters between specified dates. The estimate of damages was based not only on the agreements identified as unlawful in the Office of Fair Trading’s (OFT, the predecessor of the CMA) decision but also the ‘policy’ of the defendant of restricting sales at below its recommended price. The claim was brought as a follow-on claim, yet the CAT took the view that the claimants’ approach would effectively allege that Pride had committed infringements in addition to the eight found in the OFT’s decision. Walter Hugh Merricks CBE v MasterCard Incorporated and Others was a follow-on claim from a 2007 European Commission decision in respect of MasterCard interchange fees. The CAT found that the applicant failed to put forward a plausible way of reaching even an approximation of the loss suffered by individual claimants and that it was not convinced that (i) a global level of damages could be calculated and (ii) that if it could be, that this could be distributed to everyone affected. This case is now under appeal. Previously, under section 47B of CA 1998, the CAT could hear competition damages claims by specified bodies on behalf of consumers who chose to join the proceedings. However, only one body was ever authorised to bring such proceedings, the Consumers’ Association, and it brought only one, unsuccessful, action. Collective proceedings are mandated by legislation. Section 47B of CA 1998 introduced a form of representative action before the CAT by allowing representatives to bring claims on behalf of consumers who consented, based on the same infringement. CRA 2015 has established procedures for opt-in and opt-out collective actions under the new sections 47B to 47E of CA 1998. The revised section 47B of CA 1998 provides that collective actions will involve a certification process. A collective proceedings order will authorise the representative; describe the class of persons eligible for inclusion in the proceedings; and specify whether the proceedings are opt-in or opt-out. The CAT will also have to certify that the individual claims are eligible to be included in the collective action. Section 47B(5) of CA 1998 provides that the CAT may make a collective proceedings order only if the person who brought the proceedings is a person who, if the order were made, the CAT could authorise to act as the representative in those proceedings, and if the representative and the claims are eligible for inclusion in collective proceedings. Eligible claims must raise the same issues of fact or law and must be suitable to be brought in collective proceedings. A person may be a representative whether or not the person is a class member, but only if the CAT considers that it is just and reasonable for that person to act as a representative in those proceedings. A consultation carried out by Sir John Mummery on the draft CAT rules noted that government policy was that law firms, third-party funders or special purpose vehicles would not be permitted to be representatives leading such claims, but the final determination will be made by the CAT. In deciding whether the collective proceedings should be on an opt-in basis, the CAT will take into account all matters it thinks fit, including but not limited to the strength of the claims and the estimated amount of damages that individual class members may recover. Yes. 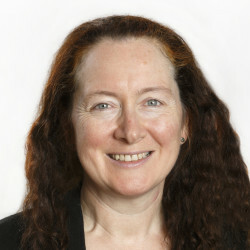 The CAT has authorised representatives in collective proceedings, under CRA 2015, in two cases: Dorothy Gibson v Pride Mobility Products Limited  CAT 9 (1257/7/7/16), which concerned overcharging for mobility scooters and which was withdrawn in May 2017 following an adverse judgment on how damages should be calculated; and Walter Hugh Merricks CBE v MasterCard Incorporated and Others (1266/7/7/16), which concerned cross-border interchange fees. The latter was brought on behalf of about 46 million individual consumers, claiming approximately £14 billion. Once a body is specified under section 47B of CA 1998, the current law does not require further certification of proceedings. CRA 2015 has introduced opt-out actions, which may be brought by authorised representatives on behalf of a collective class of consumers and, or businesses that have suffered loss as a result of anticompetitive conduct. Anyone within that class will be bound by any judgment unless they opt out. However, any person not domiciled within the United Kingdom will have to opt in to become part of the collective action. Under CAT Rule 42, a pursuer may withdraw his or her claim provided that either the defender or the CAT consents. It appears, therefore, that judicial authorisation is not required for the terms of a settlement of an action under section 47B of CA1998, although it may be needed in order to withdraw the claim. The CAT is able to approve a collective settlement in a situation where a collective proceedings order has already been made and also if it has not yet been made. The CAT will consider whether the terms of the collective settlement are ‘just and reasonable’. Where a collective proceedings order has already been made, the representative and defender will need to apply to the CAT for approval of the collective settlement. Further, where there are multiple defenders, those that want to be bound by the approved collective settlement will be required to apply to the CAT separately. Where a collective proceedings order has not been made, the CAT is required firstly to make a collective settlement order, and then the proposed representative and defender are required to apply to the CAT for approval of the collective settlement. Scotland is one jurisdiction within the United Kingdom. Scotland itself is not divided into multiple jurisdictions. For administrative purposes, Scotland is divided up into six Sheriffdoms, each with jurisdiction over its own area. Anti-trust litigation would normally be raised in the Court of Session, which has jurisdiction over the whole of Scotland. Scots law applies equally throughout Scotland. Private actions could be brought simultaneously in the different jurisdictions of the United Kingdom but would be vulnerable to jurisdiction challenges in favour of the court first seized. Not in Scotland, because actions have so far been brought in London on a UK-wide basis. Pursuers may seek damages before the civil courts or the CAT as well as interim or final interdict before the civil courts. In Scots law, damages are awarded to restore the pursuer to the position it was in before the wrong was committed. No damages have yet been awarded in a competition case before the Scottish courts. To date, the CAT has awarded damages three times. In 2 Travel Group plc (in liquidation) v Cardiff City Transport Services Ltd  CAT 19, both general and exemplary damages were awarded. In Albion Water v Dŵr Cymru Cyfyngedig  CAT 6, only general damages were awarded. In Sainsbury’s Supermarkets Ltd v MasterCard  CAT 11, damages of £68 million plus interest were awarded (this judgment is currently under appeal before the Court of Appeal of England and Wales). Damages are usually limited to actual loss. Under the amended CA 1998, exemplary damages are not available in competition proceedings (see question 29). The Claims in respect of Loss or Damage arising from Competition Infringements (Competition Act 1998 and Other Enactments (Amendment)) Regulations 2017 clarify that pursuers are entitled to full compensation for the harm suffered, which covers compensation for actual loss and for loss of profit, plus payment of interest from the time the harm occurred until compensation is paid. Interdict and interim interdict may be sought from the civil courts, but not the CAT (in contrast to the position in England and Wales where the amended CA 1998 now gives the CAT the power to grant injunctions; an injunction was granted in the case of Socrates Training Limited v Law Society of England and Wales  CAT 10 (see question 27). Before granting an interim interdict, the courts will consider the applicant’s interest to sue, whether he or she has a prima facie case, and whether the balance of convenience lies in the applicant’s favour (including whether damages would be an adequate remedy in the absence of an interim interdict order). An interim interdict for a limited period of time can be granted without the defender being present, and the onus is then on the pursuer to make the defender aware of it. There will then be a hearing at which the defender has the opportunity to appear. A ‘caveat’ can be lodged with the court at any time by any person. This prevents the court from granting an interim interdict unless the person who lodged the caveat has had an opportunity to be heard. CRA 2015 has also introduced voluntary redress schemes, whereby the CMA has the power to certify redress schemes that will be entered into by businesses that are the subject of an infringement decision by a competition authority. The CMA may also take into account the entering into a voluntary scheme when assessing the level of fine that it will impose on the infringing business. Further, any pursuer that receives compensation through the redress scheme cannot bring a claim for damages in the courts in respect of the same infringement decision. The Claims in respect of Loss or Damage arising from Competition Infringements (Competition Act 1998 and Other Enactments (Amendment)) Regulations 2017 prohibit the award of exemplary damages in competition proceedings. Separately, section 47C of CA 1998 prohibits the award of exemplary damages in collective proceedings. This is consistent with the general rule that punitive or exemplary damages are not available in Scotland since all damages awarded must correspond to a loss suffered by the pursuer. Exemplary damages are available in England and Wales subject to conditions and the CAT felt able to award exemplary damages in 2 Travel Group plc (in liquidation) v Cardiff City Transport Services Ltd  CAT 19. Section 1(1) of the Interest on Damages (Scotland) Act 1958 provides for the award of interest on damages at such rate as the court sees fit (usually the judicial rate, although in some recent cases a lower rate has been used (Farstad Supply v Enviroco Ltd  CSOH 153, affirmed by  CSIH 9)). Interest will normally be awarded from the date the wrongful act occurred, until the date of payment by the defender. The Scottish courts are not currently entitled to award compound interest on damages. The Scottish judicial interest rate is currently 8 per cent (Rules of the Court of Session, Rule 7.7). The CAT may order the defender to pay interest on all or any part of the damages awarded at a rate of 8 per cent or more if it sees fit (CAT Rule 56). Although this has not yet been tested, the CAT could, in principle, award compound interest on damages to a successful pursuer. In a cartel damages case, the damages award is likely to include interest and there are strong arguments, supported by the Damages Directive, that such interest should be calculated on a compound basis. Compound interest was awarded in respect of 50 per cent of damages in Sainsbury’s Supermarkets Ltd v MasterCard  CAT 11. Compound interest was not awarded on 100 per cent of damages as the CAT considered, applying a broad axe, that 50 per cent of damages would have been passed on and awarding interest on this amount would lead to over-compensation (albeit the CAT did not consider that the ‘defence’ of pass-on was proven so did not reduce the level of damages). No. The purpose of damages in Scots law is to compensate the pursuer for its loss (exemplary damages are not available). Therefore, fines imposed are in principle irrelevant to any damages claim. The losing party in civil cases will normally be ordered to pay the successful party’s costs. The CAT may make any order it thinks fit in relation to the payment of costs by one party to another in respect of the whole or part of the proceedings. The CAT may take into account the conduct of the parties in relation to the proceedings and a wide range of other factors, including the respective economic strength of the parties. Under CRA 2015, the CAT may award any damages that are unclaimed in collective opt-out proceedings, to the pursuers’ representative to recover their costs. In cases before the CAT and the civil courts, liability is likely to be joint and several where more than one defender has taken part in the injurious action. It is expected that a pursuer who has suffered loss as a result of a cartel may bring an action for damages against any member of the cartel for his or her whole loss. This is pursuant to delictual provisions of Scots private law. Any defender found liable is entitled in a separate action to recover a contribution from others who could have been liable. If not, all cartelists are sued, the defenders may join other cartelists as further defenders. This is done by way of an application to the court for service of a ‘third-party notice’ on the party claimed to share joint and several liability with the defender. Under the Claims in respect of Loss or Damage arising from Competition Infringements (Competition Act 1998 and Other Enactments (Amendment)) Regulations 2017, the potential liability of successful leniency applicants is limited, as is the potential liability of small and medium-sized businesses (SMEs) in specified circumstances, so that they are only liable for damages to their own direct and indirect purchasers. Leniency applicants (though not SMEs) remain fully liable to the injured parties (other than its direct or indirect purchasers) only where they are unable to obtain full compensation from the other infringers. There is a possibility for contribution and indemnity between or among defenders. Where the defenders have caused the same damage, they are obliged to pay damages in such proportions as the court may deem just (section 3 of the Law Reform (Miscellaneous Provisions) (Scotland) Act 1940). Such claims could be asserted during the principal proceedings by application to the court for an order for service of a third-party notice. A claim could also be pursued after judgment or settlement provided the claim is brought in time. can the defendant show there exists another class of claimant downstream of the claimant in action to whom the overcharge has been passed on? The Court of Appeal heard the appeal of this case together with two other related claims at trial between 16 April and 27 April 2018. The Court of Appeal’s judgment is expected later this year. There are certain exclusions from the application of CA 1998. Where such an exclusion applies, a private action on competition grounds would not be available. Any defence under the general law that might limit the effectiveness of the EU competition rules would not be available (see the judgment in the preliminary reference to the European Court of Justice in Courage Ltd v Crehan  ECC 455). Alternative means of dispute resolution are available for competition claims, as for other claims. Mediation is commonly used. In practice, almost all cases settle out of court, so, in that sense, by alternative means of dispute resolution. * The authors would like to thank Viktoria Tsvetanova and Jennifer Sim for their assistance. Almost all of the cases brought in the UK in the last year have been regarding MasterCard and Visa. Since the judgment in Sainsbury’s Supermarkets Ltd v MasterCard  CAT II, a large number of similar claims were lodged on behalf of a range of retailers in respect of MIFs. The CAT and High Court have given various diverging judgments on the topic of interchange fees. The English Court of Appeal has heard MasterCard and Visa’s appeals in respect of the various cases and judgment is expected to be handed down later this year. The CAT’s jurisdiction to hear stand-alone claims has not resulted in a marked increase in cases brought before it. This is likely to be because of the way in which the stand-alone jurisdiction has been introduced. However, the CAT’s Fast Track jurisdiction seems to be a useful new route for claimants. At the time of writing, it has not certified any collective claim, as certification has not been granted in either of the cases where it has been sought. The UK will leave the EU by 29 March 2019. Current legislative proposals are that the European Communities Act 1972, which currently makes EU law (as it is in force from time to time) binding within the UK will be repealed by way of the European Union (Withdrawal) Bill. EU law as it stands on the day the UK leaves will be ‘converted’ into domestic law, so that existing EU law (including judgments of EU courts), and UK law giving effect to EU law, has continuing effect in the UK. It is proposed that the government (and, where appropriate, devolved governments) will have legal powers to make secondary legislation to ‘fix’ any issues with existing EU law which arise as a result of Brexit; for example, where references are made to decisions by EU bodies. Some effect on private antitrust litigation is likely. For example, the Brussels Regulation, which determines jurisdiction and enforcement of judgments, cannot be unilaterally continued, so that successor arrangements will need to be negotiated with the EU. Most significantly, European Commission decisions will cease to be binding on the courts in the UK. The Claims in respect of Loss or Damage arising from Competition Infringements (Competition Act 1998 and Other Enactments (Amendment)) Regulations 2017 may need to be amended. It is likely that there will be difficult issues in a transitional period where a decision relates to the period prior to Brexit but the damages claim is brought post-Brexit. Were Scotland to leave the UK and join the EEA or the EU, then EU law would apply in the Scottish courts. The Scotland Act 2016 s39 provides for the Tribunals Service, which includes the CAT, to be devolved to Scotland, a process which is expected to be completed in 2020/2021. The Scottish Government is considering how this might be put into effect. However, administrative arrangements are likely to mean that this will not have a significant impact on the Tribunal’s operation.